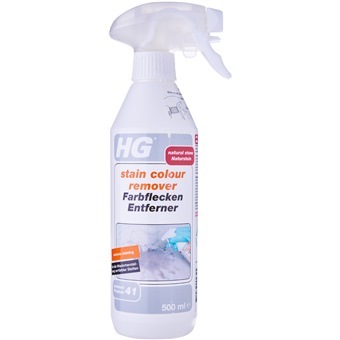 HG marble stain colour remover (HG product 41) easily remove stains from coffee, tea, wine and other colored stains from marble and other calcareous stone floors. Spray 3-5cm away from the surface and let it rest for 30 minutes. 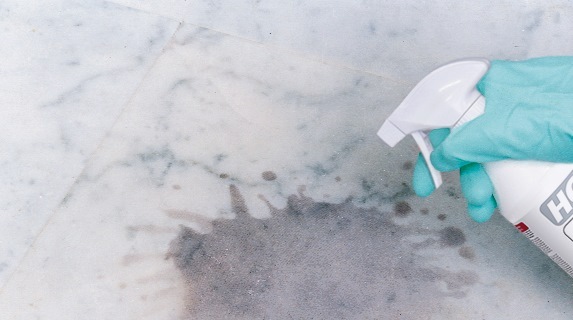 Subsequently, wipe the sprayed surface with sponge and water.